Manila, Philippines – Following the success of its first condominium project, Pixel Residences, D.M. 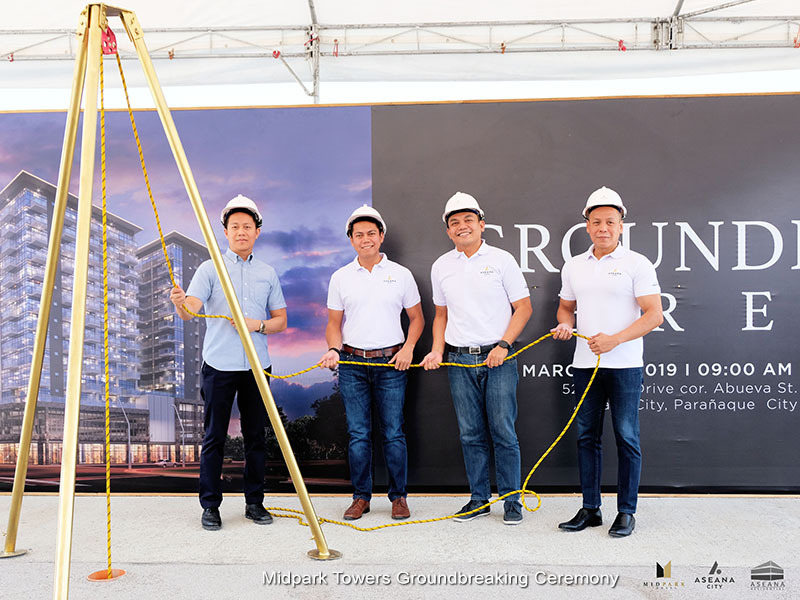 Wenceslao and Associates, Inc. (DMWAI) capped off the first quarter of the yearwith the groundbreaking ceremony of what could be its most luxurious enclave to date, the MidPark Towers. Located at the center of Aseana City’s developments, MidPark Towers is a four-tower residential project that boasts an architecture masterpiece with its predominantly glass façade, comfortable living spaces which offer a mix of studios, one bedroom, two bedroom and three bedroom units, ranging from 36 square meters to 105 square meters, and the finest wellness and leisure facilities that include a daycare, library lounge, function hall, game room, fitness gym, and outdoor swimming pools. Moreover, the project highlights its extensive transport networks having access to Ninoy Aquino International Airport via NAIA Expressway, Parañaque Integrated Terminal Exchange (PITX), and the forthcoming LRT Line 1 extension. “We want the future residents of Aseana City to experience city life to the fullest. We want them to live in a masterfully planned city that will give them the joy of leisurely walking in our lush green spaces, experience the world through nearby world-class entertainment and retail attractions, and make them feel safe by providing high-end security and safety services,” shares Julius Guevara, DMWAI VP for Corporate Planning. MidPark Towers has a total saleable floor area of approximately 42, 000 square meters and a leasable floor area of 2, 000 square meters. For more information on available units you may visit their Facebook page at @MidParkTowersOfficial.